hedge fund traders are obsessed with poker. To the lucky few who have been able to avoid Las Vegas their entire lives, it’s best to simply imagine it as a cinematic version of Wall Street trading floors circa the 1980s: It infects neophytes with fever dreams of million-dollar paydays, assaults their pocketbooks, and berates their senses until they aren't even sure of the day. The casinos lack natural light. Inside each is a symphony of slot machines. Neon is on every street corner. Even in your room, the siren calls of jackpots and free drinks conspire to keep you awake. None of this, of course, is new or obscure or particularly surprising. But it is a shock to the system. And it is also how I ended up, after ten hours on my feet reporting on the 2018 World Series of Poker, leaving my hotel room at the Plaza in downtown for a midnight interview at a Hilton hotel in the heart of the Las Vegas Strip. The two hotels are separated by about seven miles of the forgotten parts of Sin City — past junkyards, industrial manufacturers, pawnshops, ground-up highways, and other signs of, if not poverty, then something wholly separate from the glamour of the resort districts. I pulled into the Hilton’s parking garage just after midnight. I was there to meet Andy Frankenberger, a former equity derivatives trader who now plays poker professionally. Frankenberger spent 14 years on Wall Street before cashing in and looking for a new challenge. In eight years as a pro, he has claimed nearly $3.5 million. Frankenberger’s journey from investor to card player is not unique. Poker requires some of the same skills as playing the stock market — the ability to quickly calculate probability, extrapolate known data to predict future events, and not sweat losing money in the short term — but offers enough differences that many investors over the years have been so lured by the game that they either left Wall Street to turn pro or have competed so regularly in marquee events that they could be termed quasi-professionals. That’s why each summer, dozens of current and former investors flock to Las Vegas to compete in the World Series of Poker, a month-and-a-half-long series of tournaments at the Rio All-Suite Hotel and Casino. But there’s more to it than investors wanting to use their math skills to make money and have a little fun at the card table. For one, there is far more money to be made far more easily playing the stock market, according to several experts and investors-turned-poker players interviewed for this story. And second, playing poker tournaments doesn’t seem like much fun. For 12 hours a day, you sit around a table on chairs apparently designed for maximum discomfort, in a dimly lit Vegas conference room, saying “check” or tossing your cards to the dealer. It’s a grind. “There’s not much partying going on,” Frankenberger said. “Maybe guys will go out once before the tournament. But once it starts, guys wake up, go to the gym, eat breakfast, and then go play.” Then they head to bed and do it all over again the next day. So why, then, would investors who bring in, at a minimum, six-figure paychecks subject themselves to what seems like an exercise in resisting torture? Texas hold ’em, the primary game at the World Series, appears easy enough to the uninitiated. Two players per hand must ante up — betting before any cards are dealt — to ensure each round has at least some money in the pot; one person bets the big blind and the other the small blind, with the latter typically costing half of the former. Then each player gets two cards face down. Next come the five community cards dealt face up in three stages: the flop, three cards; the turn, one card; and the river, a final card. Players can check, bet, raise, and fold after each stage. In theory, the player with the best five cards wins the hand. But the game is rarely so simple. In the 1998 film Rounders, which brought the game into the mainstream years before internet poker boomed, Matt Damon’s protagonist gambler calls the sport “a skill game.” Damon’s character, Mike McDermott, is a law student who’s trying to logic his way out of a fight with his girlfriend, who views his proclivity for engaging in all-night poker sessions akin to playing the slots: pure luck. The problem, though, is McDermott’s only partially correct — and his inner monologue, expressed to the audience, largely emphasizes the wrong thing. Poker’s skill is not in the ability to read faces and uncover a player’s “tell,” the subconscious hints that someone has a good or bad hand. Rather, it comes in being able to calculate odds on the fly. In five-card poker, there are 2.6 million combinations of hands. Texas hold ’em has 1,326 combinations of two-hole cards, the term for what the players hold in their hands. But because similar hands of different suits — diamonds, hearts, clubs, spades — have the same relative value before the flop, there are only 169 distinct pre-flop hands. From that data it is possible to figure out the chances of getting any hand from the cards you receive. If you’ve ever watched the World Series on television, you’ve noticed graphics pop up on the screen telling you each player’s percentage of winning a specific hand. That percentage fluctuates after the flop, turn, and river, and based on who stays in and who folds. The best players in the world can do that math in their heads — and not just for their own cards. Unfortunately — and this is where fictional McDermott’s girlfriend is on point — the very definition of probability means on any given hand, luck can trump skill. The adage “it’s better to be lucky than good” is such an integral part of poker, there is even a term for when statistics turn cruel: a bad beat. During the main event, Frankenberger would survive a bad beat. Greenberg would not. And unfortunately my own bad beat was fast approaching. Those were the last words Pomeranz said to me after a 45-minute phone interview about a week before my arrival. In March he published an article about the similarities between poker and the stock market. But in the introduction he wrote that mentioning the two fields in the same sentence is anathema to his philosophy on investing. Pomeranz doesn’t play poker, he told me, because he likes to excel at everything he does and poker had never interested him enough to devote the time to it. Golf is more his thing. I had spent more than a month emailing and calling those who had played the World Series of Poker before: David Einhorn, most notably, but also Bill Chen of Susquehanna International Group and Vanessa Selbst, the poker star-turned-Bridgewater Associates analyst. Investors are notoriously media-averse. To a degree it makes sense: Their profession, whether within hedge funds or big banks, has had a less-than-ideal reputation among outsiders ever since the Great Recession. And those who pay them to manage their money aren’t keen on investors who seek out the spotlight — or do anything, really, that could be perceived as distracting from the job. In early July, The Wall Street Journal published an article about how Greenlight Capital’s clients tacitly allowed Einhorn’s high-rolling, all-night-partying ways when the firm had 58 percent annual gains. But as Greenlight’s slump has stretched into its fourth year, that allowance has turned into irritation. None of this, though, was much comfort. The radio silence morphed my strategy from having a series of interviews set up for when I arrived in Las Vegas to driving across the Mojave to participate in a find-the-investors scavenger hunt. The World Series of Poker’s media room, across from the tournament’s main staging area, was like something cooked up by Kafka. Wires ran in a tangle throughout, a rat’s nest ensnaring every table and chair. The only sound: clattering keystrokes. The faces of the journalists, pounding coffee, were pallid, haggard. In the corner sat Seth Palansky, the spokesman for the World Series, a tall, broad-shouldered man who’d fit in well as a pit boss. He spoke only when spoken to. In previous calls and email exchanges, Palansky had given me a cursory list of investors to reach out to — and explained the scope of the tournament. The World Series of Poker wasn’t a single tournament, he said, but 78, and included more than just Texas hold ’em. The titles of games and tournaments seemed farcical: Omaha, lowball, millionaire maker, monster stack. The whole thing, Palansky added, ran from the end of May to mid-July, with the main event, the one casual fans pay attention to, comprising a sliver of the series. No wonder the journalists in the media room looked like the workforce for a labor camp. But the main event, according to Frankenberger, is also “a beast.” It would cost $10,000 to register, but each player would receive $50,000 in chips. The first round, broken into three flights, was scheduled for July 2 to 4; the second round, again in three flights, was set for July 5 and 6. Then, on July 7, those remaining would come together and play every day until a winner was crowned. No Einhorn. No Greenberg. No Chen. There was an Erik Seidel, who sounded vaguely familiar; a quick Google search confirmed he once worked as a trader on the American Stock Exchange, but is now one of the poker elite. “It doesn’t look like anyone you’re interested in has registered yet,” Palansky said. But, he told me, the first three days are all part of round one and registration lasts until 8 p.m. on day three. Over those three days, 7,874 people would register for the main event; the 925 signups up on day one were 61 percent fewer than the next day and 80 percent fewer than on July 4. There was still a chance someone from the investment world would show up. And if not, there was always the $1 million buy-in charity tournament that closed down the World Series, a big draw for high rollers. If you’ve ever been to Vegas and strolled a casino floor, forget everything you know about the scene. It doesn’t apply to the Rio’s Amazon conference room, the World Series of Poker’s primary card hall. There were no tiara-clad bachelorettes cheering a pair of jacks, or the middle-aged braggarts mansplaining full houses to them. Cheering and hollering were intermittent at best. Instead, hundreds of people, mostly men, sat at dozens of tables quietly studying their cards and sipping nonalcoholic drinks; swap those cards for textbooks, and it could have been a library during finals week. But there is also a certain tedium inherent in playing poker tournaments. Each day the tournament runs from 11 a.m. to 11 p.m., with a 15- to 20-minute break every two hours and a single one-hour dinner. Nearly every other player wore oversized headphones. One player read a book between hands. A gaggle of model-worthy women stalked the tables offering massages and — if the number of $100 bills unfolded by their customers is any indication — earning a small fortune in tips. The players fidgeted with their chips, stacking and restacking them, or twirling them between their fingers — filling the Amazon room with the sound of rain on a tin roof. After meeting up with a photographer, Las Vegas resident Roger Kisby, I began hunting investors. Seidel was an easy yes. During a break in gameplay, I introduced myself and asked if he would help make sense of the apparent crossover between the investing and poker worlds. Number 509-2 was circled on a sheet of paper. Like the day before, Palansky handed me a list of notable players. Again, I scanned it, circling the table numbers of those I wanted to meet. Then I headed into the Amazon. The chips, it seemed, rained harder than before. I walked across the room, scanning the numbers hanging above the tables. At table 509, I counted off from the left of the dealer — one, two. In March, Alydar Capital’s Greenberg kicked off his recent retirement from investing with a World Poker Tour championship at the Bellagio. Now he was in the Rio, about a mile away, staring at three fifths of a straight: seven of diamonds, nine of clubs, eight of spades. He lifted his cards, took a peek, and returned his gaze to the flop. He set a few chips — I was still working out what each was worth — in front of him, and the dealer pulled them into the pot. Reading glasses and a smartphone sat in front of him. The player opposite Greenberg matched him. An ace of spades fell on the turn. Greenberg increased his bet. Greenberg’s opponent paused, looked at his cards — and slid them to the dealer, face down. Greenberg’s expression remained unchanged as the dealer pushed him the winnings. I scrawled the sequence in my notebook and waited for the next deal. But this time, Greenberg folded. He put on his glasses and stared at his phone. On the next hand, he folded again. In fact, as I watched him, he folded more often than not. Like any seasoned vet would. When I spoke with Pomeranz the week before, he described four types of poker players: loose-passive, loose-aggressive, tight-passive, and tight-aggressive. • Loose-passive players almost never fold: the tween niece or nephew you finally let play with you, but has no clue what to do. • The loose-aggressive ones play a lot of hands and raise a ton: basically any of us after one too many cocktails. • Tight-passive ones are gun-shy about betting and raising, going in only when they have a stellar hand: the penny-pinching grandma or grandpa we all love but wish would slip more than $20 into our birthday cards. • The tight-aggressive players, meanwhile, fold most of the time. But when they go in, they aren’t timid and prefer to raise — and do so aggressively. Greenberg, it seemed, played the Warren Buffett style of poker. But poker and investing each need to be approached in two separate ways simultaneously. Because a hand starts with each player receiving two cards face down, there is virtually no way to know the worth of one set of cards relative to another. There are strategies for determining the general strength of a pre-flop hand, usually by converting your cards into points. Such systems, including one devised by Susquehanna’s Chen, act, in a way, as cheat codes for determining where a hand ranks among all possible combinations. But that ranking is essentially useless without context. So surviving poker tournaments, like investing, requires a long-term strategy. Pomeranz’s loose-aggressive players are similar to some freewheeling hedge fund managers, betting a lot of money on many different hands — hoping to score a big payday. Tight-aggressive players and patient investors such as Buffett will be more restrained — preferring to bet only when they have a high degree of confidence in their hand. But the work doesn’t end with the initial investment. 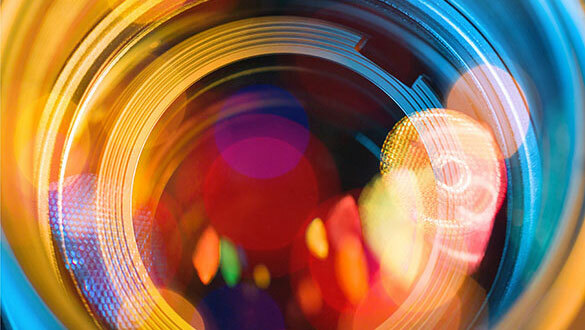 Over time, as the stock market fluctuates, more data becomes available. Investors assess and reassess that information to determine the best time to buy or sell. In poker, as a hand progresses, adept competitors narrow the range of possible cards left in the deck and the range of those any given opponent likely holds. I joined Seidel at an empty poker table inside Planet Hollywood. It was about 5:30 p.m., and Seidel seemed unconcerned about being late for an annual charity event. For a few minutes we idly chatted about his opening round — it was mediocre, he said, but he was still alive — and how he got into poker. During his relatively short investing career, Seidel bounced around, working as a trader for Ginnie Mae and eventually as an options trader on Wall Street. But then the early 1980s financial crisis hit and Seidel, who had been supplementing his income at the poker table, lost his day job. He became a card pro. A few years later Seidel would be involved in one of the greatest final hands in poker history — though on the wrong end — when poker icon Johnny Chan, who had flopped a straight, lulled the then-28-year-old into going all in. That moment, when Chan became the fourth player to win back-to-back main events, inspired a crucial plot point in Rounders. But Seidel didn’t let that loss deter him: Thirty years after that epic game, Seidel is the winningest American poker player in history, with $34.6 million cashed and eight bracelets. After such a long career, I asked, would he ever consider doing something else — or even get back into investing? The game, Seidel said, has changed: It’s more competitive and there’s software that gives people an advantage. It’s harder to make a living. When I spoke with Greenberg two days later, he disputed the notion that poker is harder. That’s no secret, and I brought it up to the Vegas pro. Still, Seidel was adamant. “It’s easier to be successful on Wall Street than in poker,” Seidel said. “It’s a different time than when I started.” If you have the skills to be successful at both, Seidel said, then you know the odds of succeeding as an investor are higher than in poker — and a good poker player goes with the odds. 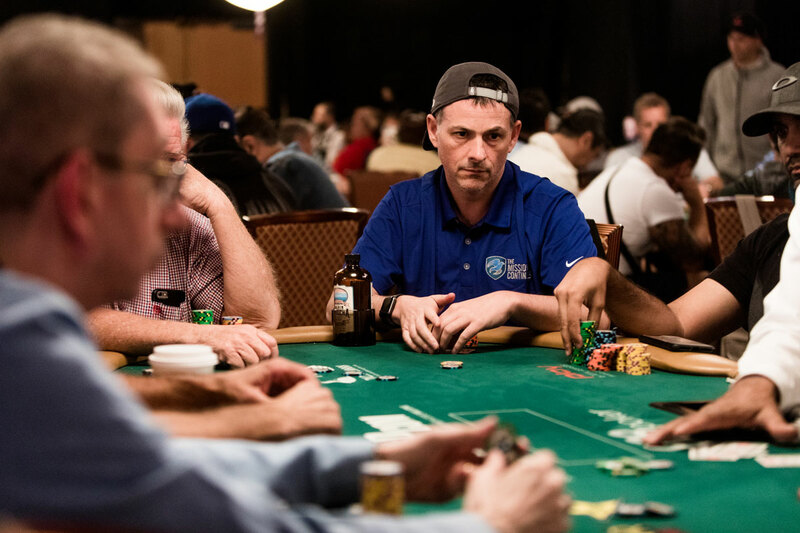 After watching Seidel — and the motley collection of poker pros, waifs in cocktail dresses, and wealthy middle-aged women — trade pots at the charity tournament, I headed back to the Rio and peeked into the Amazon room to see how Greenberg was doing. While skill should win out in the long run, even the best card players in the world can fall victim to a string of bad luck in the short term. And it seemed Vegas’s unofficial mascot, Lady Luck, had turned on Greenberg. But Greenberg, who claims poker as a hobby and intellectual challenge, didn’t look like a man having fun. He wore a frown, his shoulders slumped. Finally, though, he got a hand he could work with: ace of spades and king of hearts. On the flop, three more spades came up. Greenberg calculated the odds on the spot, figuring he had a 78 percent chance of winning after the flop. So he went all in. The turn was an off-suit five. Greenberg’s odds dropped to 38 percent, he said. The river hit like a dagger: a third queen. Greenberg got up from the table, gathered his things, and skulked away. A few hours later, at a quarter past midnight in the lounge of the Hilton Grand Vacations hotel, I met Frankenberger. It seemed the perfect time and place for a scotch, I told the 45-year-old New Yorker. “Yeah, you’re right,” Frankenberger said, laughing. Perhaps because it was on my mind, my first question was about alcohol — or rather the lack thereof at the World Series. In two days I’d seen an endless supply of energy drinks and water, a few orange juices, and, at least once, what looked like a kale smoothie. But only a smattering of beer, mostly consumed by those who seemed happy to even be at a table. As we talked, Frankenberger was quick to laugh. He was in a surprisingly good mood, considering he’d just played poker for 12 hours and, he told me, ended the day about $4,000 in the red after being up, at one point, by $50,000. Yet it probably mitigated the pain that he has two World Series bracelets and, before turning pro, made enough money as a trader to effectively retire before his 40th birthday. Plus, his wife and kid, spending the holiday away from New York, were asleep in his suite after weeks of being on the opposite end of the country. “On tilt” is poker slang for losing your cool, and being able to avoid that is what separates elite poker players and investors from the rest of us. In a vacuum, the result of a previous poker hand — or a previous investment — has no bearing on the next one. The deck is reshuffled, the odds are reset, and the game begins anew. But humans don’t operate in a vacuum. In 2015, Richard Thaler, a Nobel Prize-winning professor at the University of Chicago, wrote a book called Misbehaving, about the history of behavioral economics, of which he is a founder. Behavioral economics, a relatively new field of study, pairs psychology with a discipline that to a degree still uses economic equations that treat humans like supercomputers. If people really did process information like computers, Thaler argued in the book, then there’d be no financial bubbles, no overshopping when you’re hungry at the grocery store, and no going on tilt. But humans, particularly average ones, go on tilt all the time. Those who were ahead, on the other hand, became the reckless loose-aggressive types. The best poker players and investors in the world, however, can usually resist the whims of their emotions. After waking up I packed my bags and drove back to the Rio. I wandered into the Amazon. The chips sounded fainter, the blue hue felt less foreign. In a sea of 4,700 people, the largest ever for a single day, the faces blurred, disintegrated into one another. Finally, around 2 p.m., I folded. I got in my car, pulled out of the Rio’s parking lot, and navigated my way through Las Vegas onto the southbound Interstate 15, toward Los Angeles, toward home. Sin City gave way to desert. An hour later I crossed the state line — and my email pinged. It was Palansky: Einhorn had registered. So had Selbst. Devyn Rossi contributed research to this story.